Welcome to Grasons Co Long Beach Metro, Lakewood & Signal Hill Estate Sale Services. Estate Sales are our specialty and we look forward to helping you. 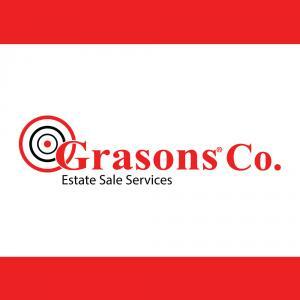 Grasons Co. of Long Beach are the #1 rated & referred Estate Sale Company in Long Beach & Signal Hill by sellers, buyers, Realtors, Trustee, Attorneys & Probate Courts. We specialize in estate sale services in Long Beach and surrounding areas. With years of experience and a dedicated team, we work closely with families, trustees, seniors and attorneys looking for estate sale services. We are also bonded, certified and insured so you can have more reasons to trust your home and loved ones possession in our care.Items we specialize in selling include but not limited to full houses, everything in the garage, kitchen items, car, boats, fine and costume jewelry, antiques, collectibles, china, crystal, coin collections, stamp collections, clothing, historical collections, outside patio furnishings, original oil and lithograph artwork & so much more than we can list.There are no up front fees, free in home consultation and 10+ years of experience in Estate Sale Services. Consider us your full service Long Beach estate sale company and Fountain Valley Westminster estate sale company, whether you’re looking for estate sale services, liquidation services or consignment. Staging – Stage your home after the sale using your items or bring in our own for a much faster sale of your home. Professional staging with a twist. pic need a hand replacement smallerOur experience, marketing methods, coupled with our large following of buyers ensures your sale will be a successful one. Our mission: To provide long beach estate sales with expert, quality estate sale and liquidation services. We love what we do, and it shows with each one of our sales. Our dedication and compassion for the work we do has been one of the biggest contributors to our success and the success of all our estate sales. Our promise is to not only meet, but exceed your expectations. About our owner: Marek Bozek & Vincent Stirone have been in and around the real estate and estate sale industry for decades. Marek & Vincent both own other Grasons locations (Grasons Co Southbay, Grasons Co North Orange County & Grasons Co South Orange County) and when asked why they enjoyed being a part of Grasons and why they chose the estate sale industry had this to say. “The motto of Grasons just fit. “Because we know it’s much more that an estate sale, it’s a relationship”. I truly love what I do and I love every day that I am able to work and do what I have always wanted to do. Help others, support my family, and have pride in doing what I do knowing how many people we are able to help. We have performed various types of Long Beach Estate Sales, from homes filled to the ceiling to less than filled homes. Our clients hire us to make it efficient, profitable and easy for them to pursue other endeavors. Whether you’re downsizing, relocating or have experienced the loss of a loved one. We are the #1 referred estate sale company in California for a reason, and we’re ready to help. Our 20+ years of experience in the professional world is what has allowed us to be efficient, professional, knowledgeable and care about everything we do every moment of the day. Working with our Grasons Family has been amazing and we look forward to showing you why it is so important to choose an experienced and knowledgeable person to perform your sales. No one can match our advertising, our exclusive list of buyers or our network with other industry leaders. I look forward to serving you”.